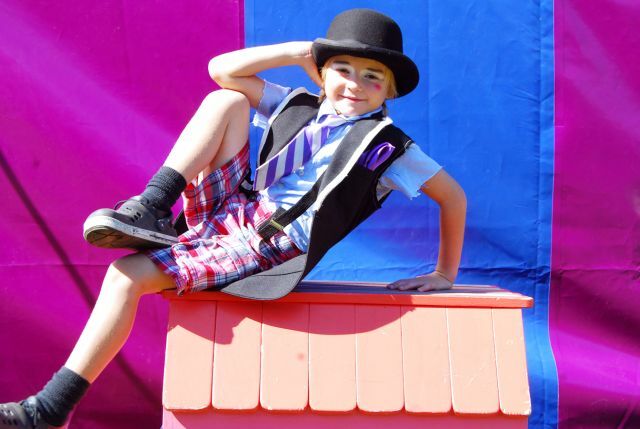 Midnight Circus' child-friendly show returns to Commercial Park in October. The big top will rise in our little park at 1845 W. Rice St. for shows Saturday, Oct. 12th at 2 & 5pm and Sunday, Oct. 13 at 1 & 4pm. The Commercial Park Advisory Council is looking to help a local nonprofit and subsidize some of the bulk ticket purchases, and is looking for volunteers the weekend of the event. "Men In Black 3" is showing in the park gym Friday, Sept. 13. Advisory council members successfully applied for PLAYS equipment grants for all three local playlots: Snowberry (Huron at Wolcott) Superior (at Hoyne) and Honore (just north of Iowa). If you live in the area and have ideas, please let me know so that we can connect you with leaders for each project. Outdoor improvements also are on the way at LaSalle II school. We are 95% funded (maybe 100% pending Chicago Public Schools review) of the campus reimagination first phases: an outdoor classroom, growing gardens and a new basketball court and playground. The classroom at Division and Honore is to be installed this fall. The Parent-Teacher Organization also is trying to secure a grant from the Special Services Area to open up the front space for use outside school hours. How cool to stroll through with your Starfruit or Purple Cow cone and sit among flowers, greenery and art – while you make the way down Division!